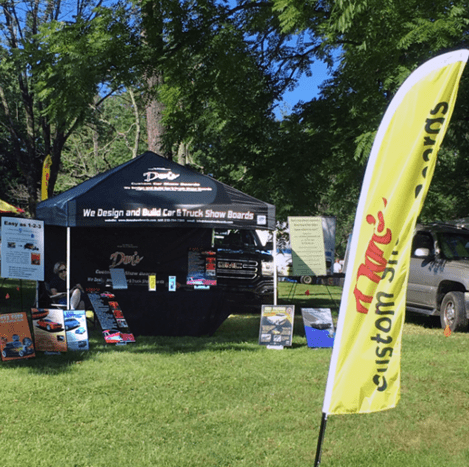 Car Show Boards | Don’s ShowBoards LLC. Don’s ShowBoards LLC. is the maker of the finest custom show boards and signage for car shows. All of our products are tailored to each customer’s needs. We even provide a metal stand, which is the safest and most stable way to display your board! 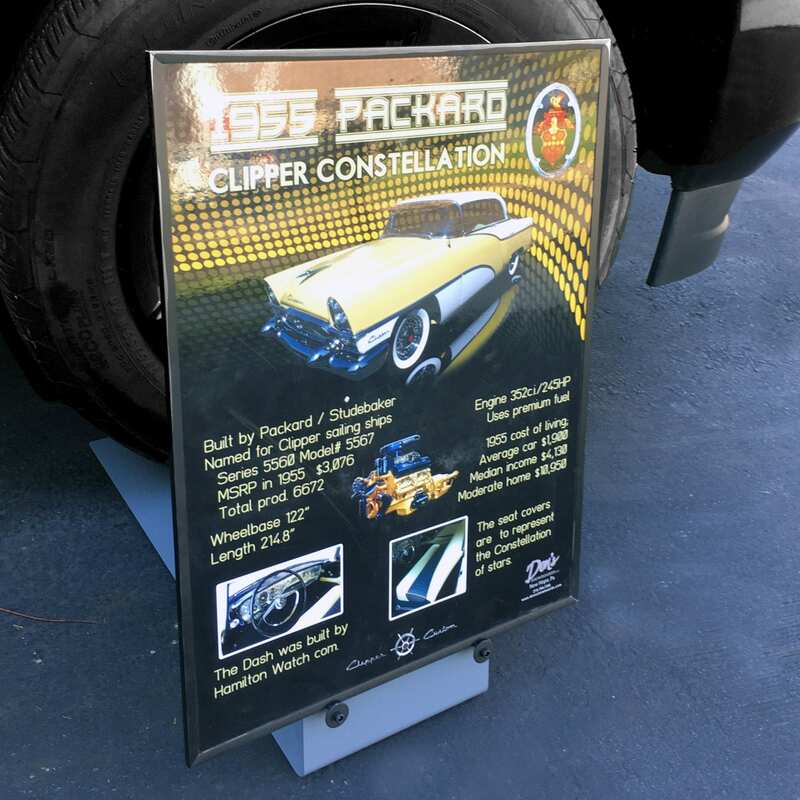 Our objective is to design and build show boards to be displayed at car shows and auctions. 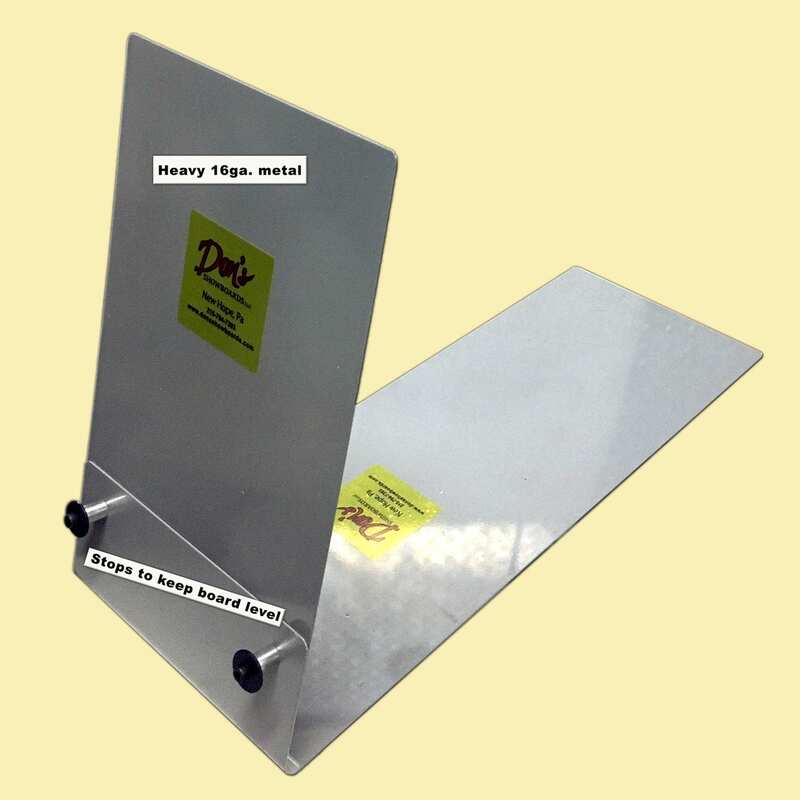 To properly secure your signage, we also provide our specially designed, heavy-duty display stand. Attract potential buyers to take a closer look at your car displays on your upcoming auto show or auction! We create show boards that will surely make your booth stand out. Show boards are not only meant to display certain information about the car you offer. They should also embody your professionalism and reliability. If you need eye-catching show boards for your next auction, trust only the experts at Don’s ShowBoards LLC. Check out our prices here. We are the only one's to provide a Heavy Duty Metal Stand to Display your Show Board. Just place the car tire on top of the Metal Stand and don't worry about your sign flying away. As a classic car owner that regularly attends auto shows or participates in auctions, you have probably experienced the need for a sturdy stand to go along with your extravagant sign. Reach out to us, and we’ll provide you with everything you need to impress onlookers during your next show or auction! Received the showboard and stand yesterday, everything looks excellent, the show board turned out beautifully. Thank you so much, very pleased. Thank you. She's been in 3 shows so far this year and yesterday. She came home with Her 3rd trophy. A LOT of people were admiring the sign. THANK YOU again! Thank you very much for helping me out on the sign, I appreciate the help on such short notice & will be referring any friends I have looking for a great sign to you. © 2018 Don's Showboards LLC.